Chronicling the entire career of the band, this box set really is a wonderful collection. It shows the diversity of Hawkwind in all their varying styles. Although a bit pricey for a first addition to a music collection, in many ways this set would be perfect for that. It contains many killer tracks that would give the new listener a taste of all the various phases of the band. It certainly would be a great addition to the established Hawkwind collection. Even those with fairly extensive collections of Hawkwind music should find a number of tracks that they don't have included here. The booklet that accompanies this three-disc set is very nice, also. In fact, the packaging in general is superior. The progression of music on this set shows a band that has played in their own style for years, while crossing into many musical modes. Looking at the release dates of much of this material, and hearing the musical leanings, it becomes apparent on just how many musical trends Hawkwind was ahead of the rest of the musical world. There are a multitude of musicians who have been members of this band, and most of them are present here. 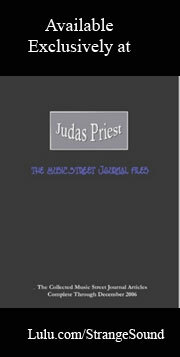 They will not all be listed in this article, but the following is a partial list: Dave Brock, Lemmy, Bridget Wishhart, Michael Moorcock, Nik Turner, Bob Calvert, Ron Tree, Richard Chadwick, Alan Davey, Simon House and Harvey Bainbridge. Originally released on the self titled debut disc, this is a classic. Pretty, progish acoustic guitar starts this cut. The track becomes more rock oriented, but still progish, although a bit simplistic in structure. Certainly the lyrics to this one are quite prog oriented. "Look into your mind's eye, See what you can see." When the guitar solo comes in, the cut takes on very psychedelic tones, quite reminiscent of The Doors. This is strong space rock with early prog and psychedelic leanings. It even includes some wailing, Hendrixish guitar. A darkly psychedelic tone begins this number, which has a very strong sci-fi texture and quirky progish riff. It speeds up and slows down and other than some odd chanting at the beginning is an instrumental. This one is also from the album that takes the band's name as its title. Metallic and spacey, this is quintessential Hawkwind. The vocals are in an almost dream state sort of tone. The composition also features a couple of false endings and a long jam session. This cut is from In Search of Space. Coming from the same album, a nicely melodic acoustic guitar intro leads to a catchy and somewhat bouncy track that still features very space oriented vocals and other elements. As it moves into the instrumental section, it becomes more electrified. It does, however, still stay rather progish, right down to the inclusion of a flute. Beginning with whooshing keyboards, this one quickly takes on a stripped down, almost punky texture. Silver Machine is a fun song that evolves into a more typical Hawkwind space jam after a time, but drops back into the standard verse segment after that. This one is actually available only on the remastered version of In Search of Space. A rather hard rocking space cut, this one includes rather emotionally delivered vocals. The center section is a very intriguing rendition of an entrancing poem set to spacey music. Originally released on In Search of Space, this one includes a return to the opening segments after the poem. This hard rocking classic Hawkwind number becomes an extended space rock jam complete with chanting. This long piece is pretty much predominated by the instrumental segments. It is originally from the Doremi Fasol Latido album. Starting in an acoustic guitar mode, spacey keyboards join in, then the musical tone turns bouncy while retaining the space rock mode in the vocals, keys and lyrics. This strong number represents classic space rock quite well. It comes from the same album as Brainstorm. As it becomes more electrified, it transforms into a droning piece, then moves into very progish territory while still presenting a classic example of space rock and hippie modes. It drops back into a rather intricate acoustic guitar jam that is both folky and progish to end the number. This guitar jam is accompanied by sound effects oriented keyboards. Recorded in 1973 and available on the remastered version of Doremi, this is a hard rocking, almost punky cut. It really seemed to foresee the unfortunate future of our society. "I'm an urban guerilla, I make bombs in my cellar." "So, let's not talk of love and flowers, and things that don't explode, you know we've used up all of our magic powers trying to do it in the road." This one features a definitive Hawkjam. More sci-fi theater than actual music, this cut is an effects laden speech that serves essentially as a public service of what to do "In case of sonic attack on your district." It is originally from Space Ritual. Also from Space Ritual, this is hard rocking number is strong space rock with good hypnotic jamming. Starting with a very nice bass in, this is a considerably potent song. Redone later by Lemmy's band Motorhead, the cut really has that band's sound with a definite Hawkwind twist built in. Lost Johnny originally comes from the Hall of the Mountain Grill album. It is a hard rocking number that really works well. Also coming from the Hall of the Mountain Grill disc, psychedelic tones start this cut, quickly to be joined by rather funky guitar. This is a very catchy rocker that moves quickly. It evolves into a spacey sort of prog jam complete with moments of violin and sax competing for dominance. This then moves back into the more mainstream approach. This is one cut that leaves you wanting more. Starting with a good bass groove, this is a solid rocker. Obviously another later covered by Motorhead, this version features a strong violin solo and presence throughout. Beginning with a building segment in the mode of both Genesis and Yes, this cut takes on the more solid Hawkwind trademarks, but is very progish. The lyrics are very fantasy oriented. It breaks into a classic space jam with prog leanings that is almost Traffic influenced at times. This cut was originally presented on the Warrior on the Edge of Time album. It drops directly into the next cut. Very dramatic and very prog, this is Hawkwind at their best. "Down the corridor of flame, Will I ever fly so high again?" The imagery on this one is only topped by the progish wonderment of the music. Anyone who says that Hawkwind is not progressive rock probably has never heard this powerful composition. This is another track from the Warrior on the Edge of Time disc. Harder edged and rawer, this one is still quite spacey. It comes from the same album as the last two tracks. With its Eastern textures, processed vocals and fantasy lyrics, Magnu is quite powerful. It really moves in a lot of musical directions while still maintaining a definite Hawkwind sound. It features some especially strong percussion in the jam late in the track. Raw edged, this is an odd sounding but entertaining cut. It features R & B oriented backing vocals on the chorus. Coming from Astounding Sounds Amazing Music, this one is rather fast paced. The arrangement gets a bit soulful at the end. Starting in a mode a bit like Hawkwind does Santana (and those Santana elements exist off and on throughout the cut), this werewolf-oriented number is very strong. It was originally from the same album as the previous track. The lyrics detail the state of being a werewolf and the dual nature of the beast. "I am a wolfman, The man in me would kill the wolf, I am a man wolf, The wolf in me would eat the man." The track features a haunting violin dominated segment that is very progish. It is an awesome number that features many prog rock oriented instrumental moments. The title track of the Quark Strangeness and Charm album, this one is bouncy, fun and classic Hawkwind. Dripping with Eastern leanings, this is a hard rocking number that is a Hawkclassic. It also comes from the Quark Strangeness and Charm album. This cut comes from the same album as the last two. Beginning with white noise oriented sound effects that lead into other sound effects; it is nearly two minutes into the cut before actual music emerges. As it does, the sound is almost Smithsish at first (although this predates that band's appearance). The volume gradually rises on the music and the effects start to fall away. The cut becomes a nice rock oriented mid tempo number. Some of the lyrics are sort of a space age/sci-fi love lost ode. The entire song is essentially a commentary on some of the problems of modern society. It just so happens that it is set in a time well beyond our current time. "I would have liked you to have been deep frozen, too, And waiting still as fresh in your flesh for my return, but your father refused to sign the forms to freeze you, Let's see you'd be about 60 now, and long dead by the time I return to Earth, But my time held dreams were full of you as you were when I left, still underage." Other topics covered include android replicas and cloning issues, but all in that entertaining, somewhat humorous vein. Put all this within a proggy, sci-fi oriented midtempo ballad musical format, and you wind up with a stand out cut. This cut was originally released on the album 25 Years On. Another with a sci-fi theme, this one is a dynamic and powerful `70`s progish rocker. It chronicles the adventures of someone with psychic abilities. "I can read your mind like a magazine." The chorus is quite catchy. This one features a great prog oriented instrumental break. We find that this power that the narrator has have a dark side. "It's like a radio you can't switch off, There's no way to get piece of mind, I'd like to live in a lead lined room, And leave all the Psi Power behind." "Circle, square, triangle, waves, It's a gift that seems to have gone sour, Why don't they let me get some rest, It's too much to understand, to digest." Also from 25 Years On, this is a punky and fun hard rocking number. Originally released on PXR5, this is a progish, fairly hard-edged song that is dramatic and powerful. From the same album as "High Rise", this cut has a gritty rock and roll texture that is embellished with space rock elements that top the arrangement off. This is a space age, tongue in cheek space rock number in classic Hawkmodes. It also is from PXR5. Starting in a typical Hawkwind whooshing keyboard mode, this is a very classic sounding Hawktune. A hard rocking number, this is a strong piece. Originally released on Levitation, this one features a tasty guitar riff and nice bass line. It is a potent cut with several intriguing changes in a rather progish arrangement. It is base pretty heavily on the rhythm section. Also from the Levitation album, Levitation is a strong space rock number that features some standout keys. Dark and powerful, this is a very strong Hawkwind number. It has a considerably potent instrumental break. This composition is originally from the Sonic Attack album. Also from Sonic Attack, Coded Languages is a special effects laden cut with spoken, nearly screamed, words. "Question the nature of your orders!" It splits off into a strong rocking cut that is very strongly based in traditional Hawkwind modes. This is a considerably strong song that covers a lot of various Hawkmodes. Originally released on the Church of Hawkwind album, this is an ambient, techno sort of number that includes news type coverage of the Kennedy assassinations. It starts getting more and more frantic in musical modes, then drops back down. The cut ends with the sounds of someone fleeing through water. Another very strong number, this one is a more hard rocking, but full of classic Hawkwind elements. It includes some very tasty guitar work. This is the title track to the album Choose Your Masques. "Night of the Hawks" is a fairly straightforward number with a great musical texture. 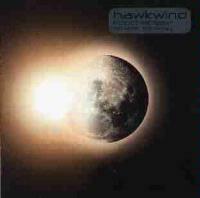 The lyrical theme seems to tie into Michael Moorcock's science fictionalized account of Hawkwind, The Time of the Hawklords. Coming from the Chronicle of the Black Sword album, this is a metallic number that is bouncy and quite catchy. "It's gonna make you run, Needle gun, Needle gun." Starting with ticking clocks, keyboards join in and song eventually becomes a fast paced rocker that really pleases. Originally release on the Xenon Codex disc, this tune is a favorite of this reviewer. It drops into a nice keyboard dominated break for a time, then builds and screams out from there. This song features some exceptionally tasty guitar work. Based on the writings of a Native American holy man named Nicholas Black Elk, Native American drumming begins this cut. It features a spoken reading from the book Black Elk Speaks. The book, published in 1932, is a recounting of a vision that Black Elk had as a child. This monologue is accompanied by lots of traditional American Indian modes interspersed with classic Hawkwind elements. Some of the guitar work on this cut is particularly powerful. As the song moves forward, Bridget Wishhart's spoken vocals take on Native American lyrical themes, but the music becomes more standard Hawkwind fare. The Black Elk monologue is incorporated in these later parts of the song as well. This song was originally released on the Space Bandits disc. Taken from the Electric Tepee album, this is a fairly straightforward Hawktune. It features a potent keyboard flourish/solo and a nice quirky progish break. It moves into a strong jam. A dark sounding, hard edged intro leads to a bit more light handed fare that rocks out quite well. The lyrics to this one are a bit on the humorous side. After a time, it breaks into a very traditional Hawkjam, and includes a bass break that has a wonderful tone to it. The jam on this cut is quite long and very progish. This cut is originally from Alien 4. Starting with keys and space effects, this is a spacey, balladic sort of number. It has some very strong classic Hawk elements and moves into a reggaeish sort of mode after a time. A remix of Silver Machine, this one features some techno elements in the reworking. Most notable is the techno beat. The number ends, then comes back up as a solid techno groove. This is joined by the Silver Machine chorus vocals. The cut ends in a definite techno mode.